Another tough par 3 with 5 bunkers surrounding the green. The bottom of the pin is shielded by bunker lips making it difficult to determine where the hole is. The green is reasonably flat making this hole a decent birdie opportunity. 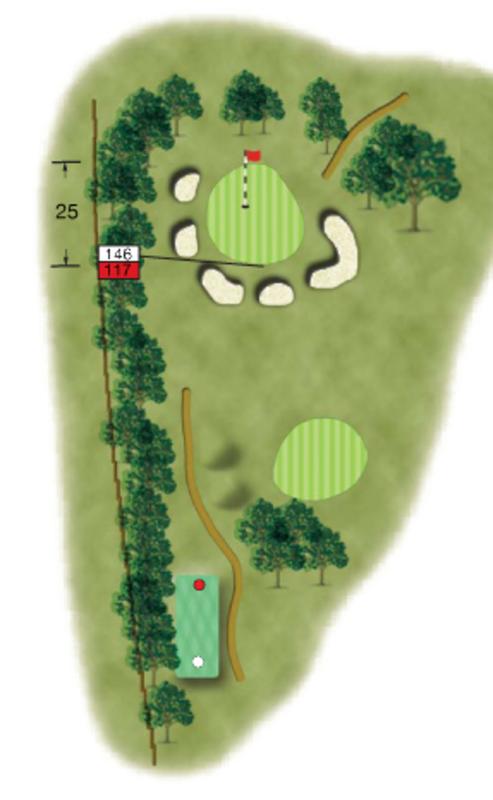 Best to be long rather than short of this well guarded green so an extra club is the smart play.